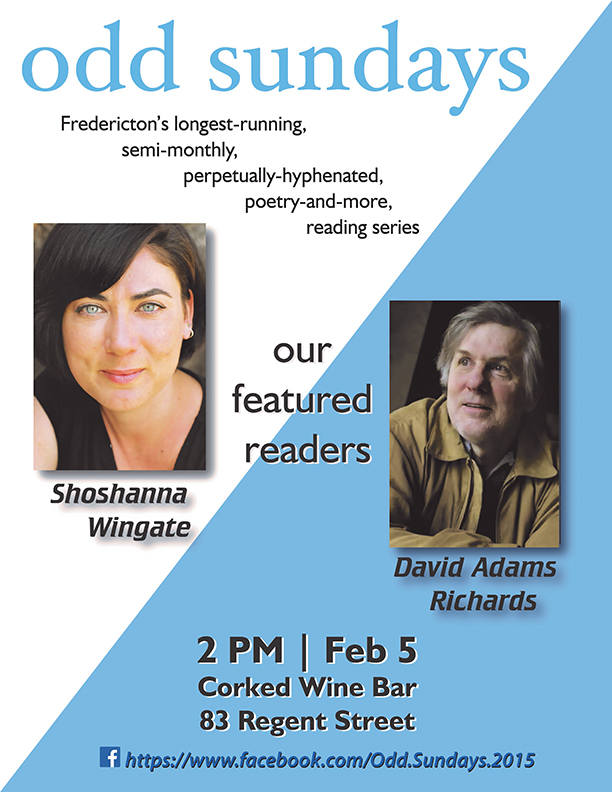 Odd Sundays happens at Corked Wine Bar again this Sunday, February 5th, for another afternoon of readings. Come to 83 Regent St, at 2pm for reading by Shoshanna Wingate and David Adams Richards. Shoshanna Wingate is the author of Radio Weather, a poetry collection (Fall 2014, Vehicule Press) and a poetry chapbook, Homing Instinct (Frog Hollow Press, 2011). 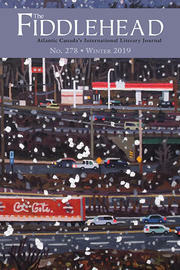 Her poems, fiction, and nonfiction have been published in ARC Poetry Magazine, The Fiddlehead, The New Quarterly, Riddle Fence, Hunger Mountain Review, and Room. Wingate is one of the founders of Riddle Fence. Born in New York City, she moved to Canada in 2004 and lives in Sackville, New Brunswick. David Adams Richards has written 30 books. His latest novel is Principles to Live By, published by Doubleday in 2016. David has a novel coming out next year titled Mary Cyr. David has won the GG twice, The Giller Prize, the Commonwealth Writer's Prize, the Canada Australia award, and two Gemini awards for scriptwriting. He is the recipient of both the Order of New Brunswick and The Order of Canada.